John Hillcoat, who has "The Road" in limited theaters now, was planning on following up the grim yet hopeful adaptation of Cormac McCarthy's novel with "The Promised Land." "The Promised Land" was scripted by Nick Cave and adapted from Matt Bondurant's novel The Wettest Country in the World. The film is set during the depression era in Virginia and follows legendary bootleggers and their run-ins with the law. Hillcoat had previously gone on record that "The Promised Land" already contained his dream cast including, Ryan Gosling, Shia LaBeouf, Paul Dano, Michael Shannon, Scarlett Johansson and Amy Adams. Sadly if any of that got you the slightest bit excited, its all for not. "The Promised Land" was aiming for a February production start, but Millennium Films (a unstable Production Company itself) shut down Hillcoat's project. Ironically, the movie industry itself now faces its own apocalypse. The perfect storm has arrived in Hollywood: a global economic downturn combined with piracy and the increase of downloading on the internet – what happened to the record companies years ago but with much higher stakes. The reactionary first phase has kicked in – few films in development, many films put on hold or shut down. 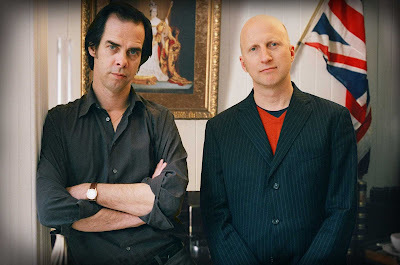 My own new project – with a much-loved script by Nick Cave and a dream all-star cast – has fallen apart. The finance company that we began The Road with has also fallen apart, having to radically downsize to one remaining staff member. The great divide has begun, with only very low-budget films being made or huge 3-D franchise films – the birth of brand films such as Barbie, Monopoly: The Movie – who knows what’s next, Coca-Cola: The Movie? Hillcoat's comments bring up a few meaningful discussion surrounding Hollywood. For instance what happens to Hollywood when they completely abandon original stories and meaningful film for gimmicky franchises that are deemed profitable? Will we see films like Hillcoat suggests? Monopoly is already in works and whose to say we don't see a McDonald's or Hardee's movie soon in the works. Hillcoat also brings up Avatar, which we know has recently crossed the $1 Billion mark. Avatar is billed as the game changer and I totally agree with that. It is the one film in recent years that made it necessary for the general movie goer to spend more money in order to see the film the way the filmmaker intended us to. But that doesn't mean studios need to copy this formula and try to reproduce it. The world needs small movies. We need to see films that aren't potential franchises. We need simple stories of simple people. The film industry has become a huge gamble for lesser known directors or films, especially if they harbor untraditional story lines and its clearly getting worse. This news does not mean that John Hillcoat is done. Hardly. He has other projects in works (as do most directors), but this story points out that insightful movie making is being left out in the cold while studio sink their teeth into huge profitable franchises.